6" x 7.5" x 2.5"
*Due to the dyes and nature of this material, slight color transfer may occur. Hello, fringe! 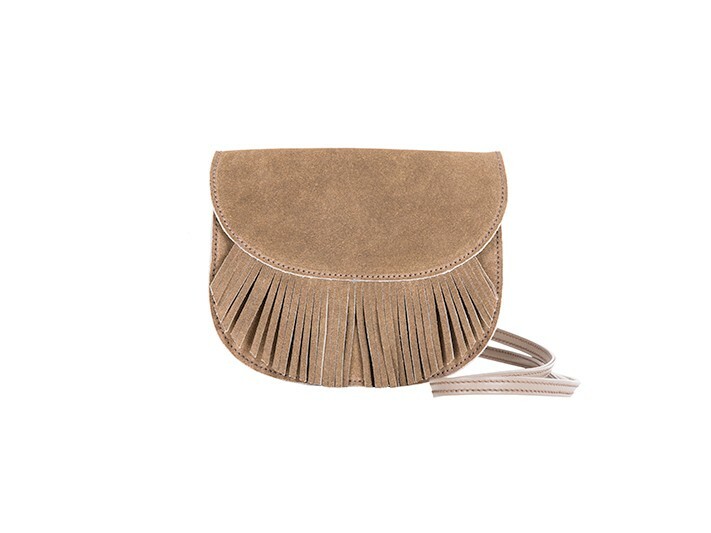 Our Mini Valentina bag is a little eclectic, a little modern, and very boho-chic. 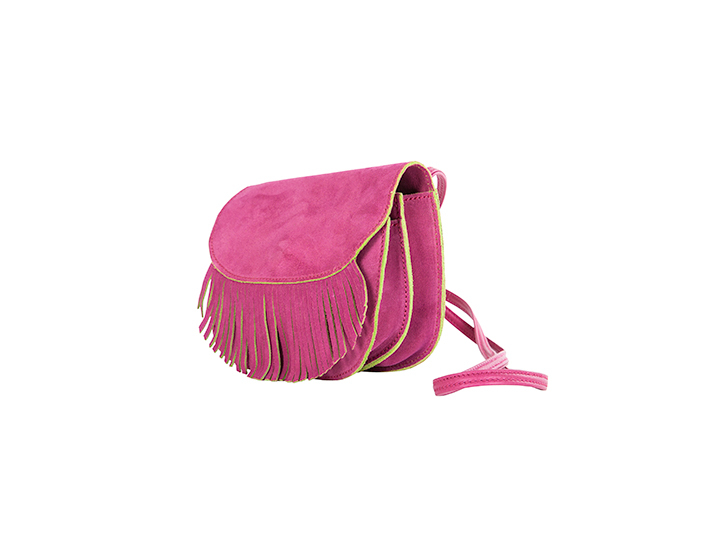 This drum-dyed Italian suede purse is buttery soft, but don’t let its luscious exterior finish fool you. She is as dependable as she is fashionable. With two ample storage pockets and an interior zippered pocket, this cross-body compactly holds all of your everyday essentials. 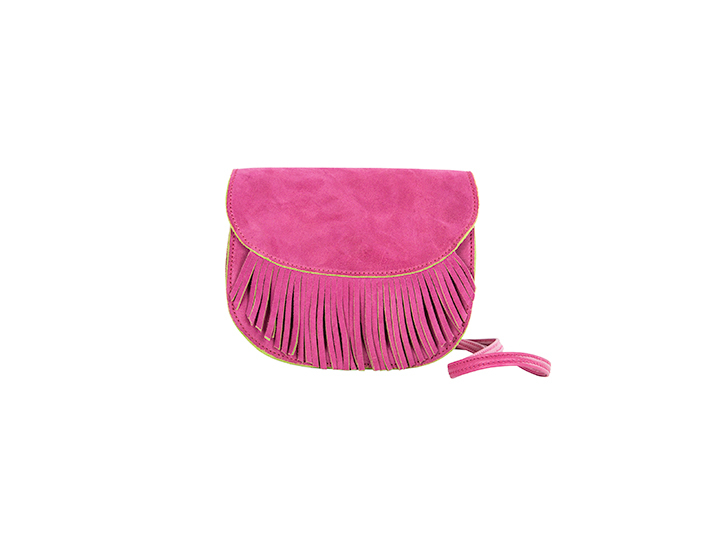 Finished off with a burst of fun fringe, the Mini Valentina is a perfect mix of bohemian and traditional.